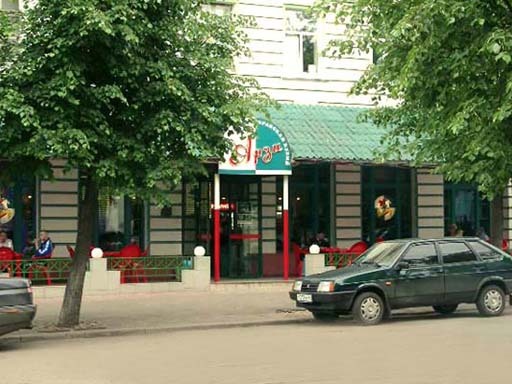 Arabskaya Kukhnya (Arab Cuisine) is the most popular fast food in Tver, and this is not a coincidence. The restaurant offers diverse tasty dishes. Arabskaya Kukhnya resembles McDonald's. You can buy traditional American food (hamburgers, cheeseburgers, chips) and Arab dishes such as shaurma, as well as pizza, various salads, desserts and ice cream. You won't find alcoholic beverages and beer in Arabskaya Kukhnya. Keep this in mind. It's rather difficult to find a vacant table between 1:00 p.m. and 3:00 p.m despite the fact that the restaurant is rather big. In addition, you will not avoid staying in a queue.